UPDATE: Sky confirms 3D channel will have full functionality including recording | What Hi-Fi? We've confirmed with Sky that all the existing Sky+ functionality will still be present and correct with the new Sky 3D TV channel when it launches on April 3rd with live coverage of Manchester United v Chelsea. A Sky spokesperson said: "Contrary to recent speculation, Sky 3D will integrate fully with Sky+. 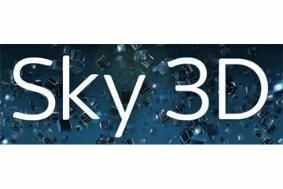 A scheduled broadcast channel, Sky 3D will sit within the HD Electronic Programme Guide and, like any other HD channel on the platform, will take advantage of all of the features of the Sky+HD box. This means customers will be able to enjoy 3D on their terms, either watching content live or at a time of their choosing." In terms of recordings 3D programmes are set to be of a similar size to those in HD. Read our full story on Sky's 3D channel below. The Barclays Premier League match between Manchester United and Chelsea on April 3rd will mark the inaugural broadcast of Sky 3D TV. The channel officially launches on that date, following a series of trial broadcasts earlier this year. After showing the Man United vs Chelsea match in 3D, Sky will show at least a further five Premier League games – details to be confirmed – before the end of the current season on May 9th. It will also air the Coca-Cola Football League play-off finals at Wembley at the end of May. All matches will be broadcast live and in 3D. Sky says more than 1000 pubs and clubs across the UK and Ireland have already signed up for Sky 3D, and more are expected to do so in the coming weeks and months. In addition to live football, a showreel of the best of Sky 3D – covering a wide range of different programming – will run on the channel during selected hours of the day. Brian Lenz, Sky's director of product design and TV product development, says: "It's fitting that one of the biggest games of the season will be the launchpad for our pioneering Sky 3D service." Later in the year, Sky 3D will offer a range of films, sport, documentaries, entertainment and arts in 3D. The channel will initially be available at no extra cst for customers who subscribe to Sky's top channels and HD pack.